Looking to look your best for you big day? 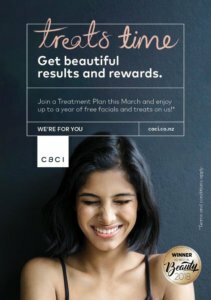 These HOT DEALS from the Caci Clinic is for YOU! Brides to be can enjoy a FREE consultation and a 30 minute facial when visiting the Caci Clinic and showing this image! Join them for a Treatment Plan during the month of March and get up to a FULL YEAR of FREE Facials and Treats! 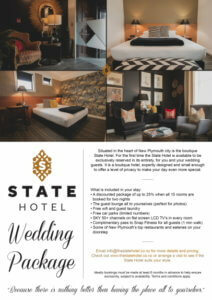 Check out the latest Hot Deal from the team at The State Hotel! They’re offering a fantastic accommodation package that will fit your entire wedding party and more with exclusive access to the guest lounge which is PERFECT for group photos! Follow us on Facebook and Twitter to be the first to know as soon as Hot Deals come in!